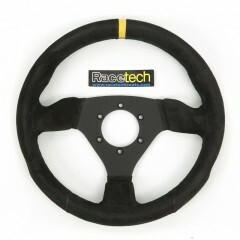 Racetech steering wheel cover, designed to protect your suede race wheel from any oil and grease on your hands. This is especially useful when working on, or servicing the vehicle, but may also come in handy when touring between rally stages. 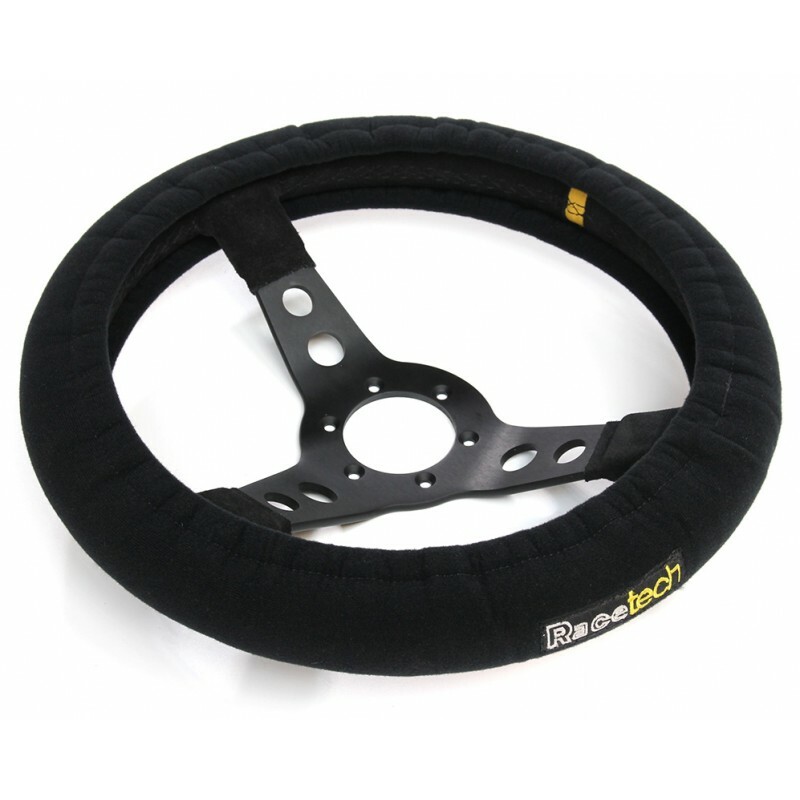 Made from black fabric to match your Racetech seat, with sewn-in elastic to ensure the cover stays tightly fixed on the wheel. 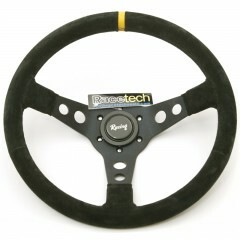 Suits 350mm wheels - either flat or dished.